Please welcome today's paranormal guest author Brian Bandell! Brian is the author of MUTE. Brian: I filled my notebook in sixth grade with a sword and sorcery story. My first serious attempt to write a novel started my junior year at the University of Miami as I sat on the shores of Lake Osceola listening to Radiohead on my headphones. My first book deal came four novels later but the joy of creating a story that I could escape with kept me writing for years and persisting in the face of rejections until I found my touch. I still listen to music during most of my writing. Brian: My novel Mute is a blend between murder mystery, science fiction and paranormal. I love incorporating the unworldly into my stories and, in this case, I do it through an environment that people have been abusing that fights back. Sea turtles, dolphins, gators, manatees, all of them become deadly for those who approach the Indian River Lagoon. I enjoy reading books by Stephen King and Dean Koontz, two authors who also incorporate scifi and paranormal. The key question in all such stories is how the characters react to situations that seem unbelievable and force them to make difficult choices. 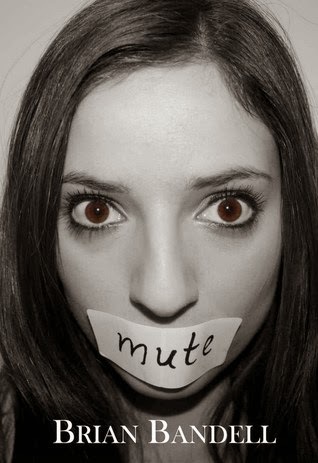 In my novel Mute, Officer Moni Williams must choose between protecting a mute girl who saw her parents murdered and getting the child to reveal information that could help them catch the unconventional killer. Brian: To jump inside someone's head and know what they're feeling. Not just their thoughts, but their emotions and their body. We see so much joy, pain, amazing athletics displays, those who are feeble and fragile - what does that feel like? Brian: It keeps them guessing until the end as I rip through the story at a fast pace. One of my favorite things is hearing all the different reactions from readers. Some cried at the plight of the speechless girl. Some were terrified of going near the water. Nearly everyone was shocked by the ending. I don't want to stick to a safe formula. This novel is a thrill ride. Brian: Jasika Nicole (who played Astrid on Fringe) would be the lead as Moni. She has the right mix of sensitivity and toughness as a cop. I can see her being conflicted over how to care for the girl. The girl Mariella would be played by Brighton Sharbino (Lizzie from Walking Dead). She did an amazing job as a stone-cold, psychotic kid. The part of Mariella has sympathy on the outside, with an undercurrent of fear and mystery. Officer Monique “Moni” Williams, has never lived an easy life—with an abusive ex-con father, a two-timing, pistol-wielding ex-boyfriend and a racist boss—it’s hard to see how things could possibly get more difficult for her. After she meets a child that she bonds with, but Moni must protect the girl from a mysterious threat stalking everyone near the Indian River Lagoon. A serial killer is on the loose on Florida’s Space Coast, and Moni has been put in charge of the key witness in the biggest case of her life: an eight-year-old girl called Mariella. The child has gone mute after losing both her parents one harrowing night. Now, Moni struggles to protect the child and break her silence, while more reports of inexplicable deaths and animals with eerie purple eyes pile up. Her bond with the child is tested by a police force demanding answers. What does the lagoon’s rotten stench have to do with a mute little girl? Can Moni save Mariella from what lurks along the water? Who is really facing the most danger? Find out in this suspenseful, page-turner that will keep you guessing until the very end. To learn more about Brian Bandell and his books, please visit his website.